GA Lawsuit Filed in Special Election Alleges Results "Cannot Be Known"
Marilyn Marks the Executive of the newly christened "Coalition for Good Governance" is celebrating the fourth of July by suing a bevy of Georgia election officials, including Secretary of State Brian Kemp, claiming that the results of Georgia's special election "cannot be known" due to "the insecurity of Georgia’s voting system and the lack of voter-verifiable paper ballots." The suit goes into detail about the security breaches that took place prior to both rounds of Georgia's sixth district congressional race that eventually pitted former Georgia Secretary of State Karen Handel against political newcomer and film producer Jon Ossoff. I published an article yesterday on Alternet about the suspect results of the election. 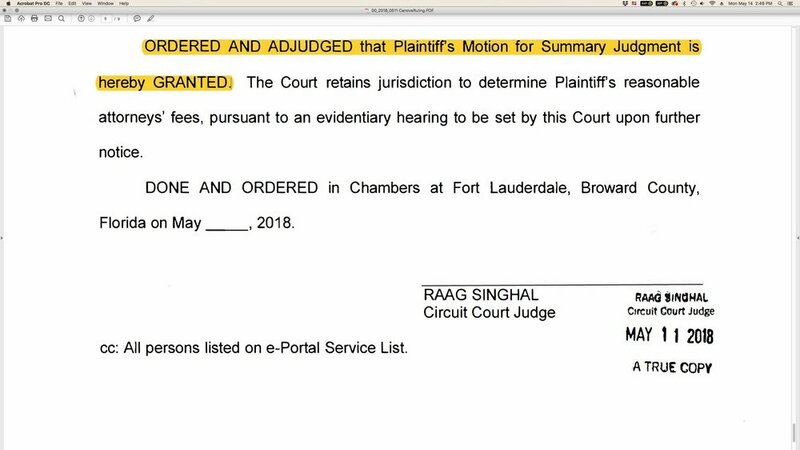 The suit points out that the election system website was left open on the internet from August of 2016 until March of 2017. It describes how during that time, a video was available instructing election officials, "to first download files from the Kennesaw State University Center for Election Systems website, put those files on a memory card, and insert that card into their local county voting systems." Since the normally secure aspects of the website were completely open to the public during that time, it is possible that an election worker downloaded compromised data from that website - as instructed by the official tutorial. This could have resulted in malicious software being loaded directly onto the voting machines. The suit does not exaggerate when it says, "This would be a serious security concern." It goes on to claim that the voting machines have not been re-certified since 2007, and are not currently authorized for use. The suit claims that Kemp and other election officials "allowed the uncertified and compromised systems to be used in the Runoff" contrary to the requirements of the Georgia state constitution. Marilyn Marks said in a phone conversation that "The machines are unfit" for use. According to the press release, she is seeking "to overturn the reported results of the Special Election and to order a new election." She is also attempting to prohibit the machines from being used in the upcoming November municipal elections. She will hold a Facebook Live press conference on Thursday July 6th from the Georgia Capitol building. 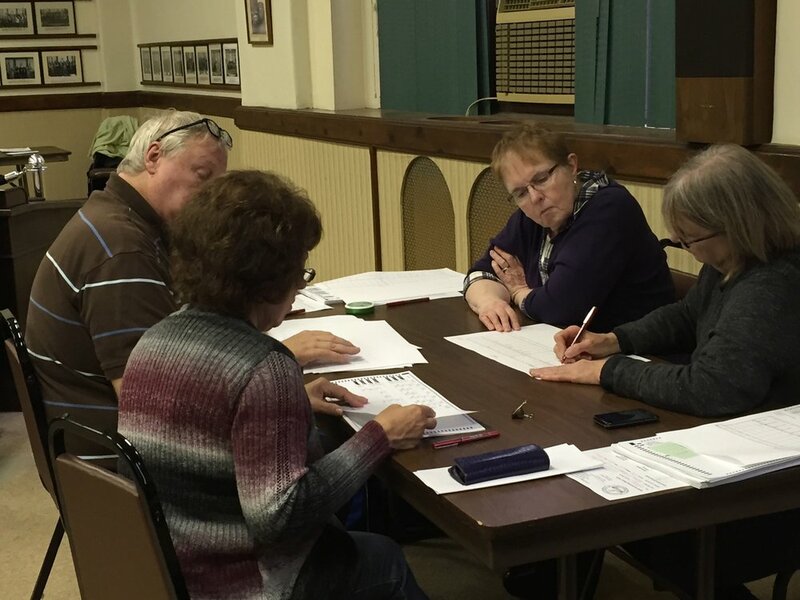 Citizens for Voting Integrity NY had a good meeting last night. We met in Hastings on Hudson NY and discussed working on New York legislation for hand-counted paper ballots, risk-limiting audits and allowing candidates and citizens to request recounts. Also considering a name-change. It is a small, but focused group led by Allegra Dengler. The meeting was lots of fun! Let me know if you'd like to join us next time. We meet on the third Wednesdays of the month. Did Roger Stone coordinate with Guccifer 2.0? This report from The Hill is a piece of solid evidence that looks criminal in the case that Trump's campaign coordinated with Hackers to throw the election to him. Roger Stone, one of Trump's advisors at the time, apparently had advance notice about the hack of former Clinton campaign chair John Podesta's emails. Stone tweeted about it saying, "“Trust me, it will soon [be] Podesta’s time in the barrel.” He had Twitter correspondence with Guccifer 2.0 prior to that. Guccifer told him, "...please tell me if i can help u anyhow. it would be a great pleasure to me.” Did Guccifer tell Stone Podesta was next, or did Stone suggest that a Podesta hack would be useful? Be sure and check out my Facebook and Twitter accounts to see what I've been posting lately. This week I'm following the #Vault7 Story about the #Wikileaks release of CIA hacking techniques. The question is - if the CIA is able to hack smart phones, Skype exchanges, computers, anti-virus programs, smart televisions, encrypted chats, break passwords and access private documents and equipment in any number of ways - would they have the capability to hack voting equipment? We focused this week on NY reforms. Assemblywoman Latrice Walker spoke about her bill "The modernized voter registration act of NY." It includes provisions for same day voter registration, online registration, automated registration through official agencies & changes to audits . We invited NY & other election reform activists and election officials to share their thoughts on the bill as well as what they'd like to see happen going forward. Recording is here and comments from the call are in the comments section. We will not have a call next Sunday. The calls are going to move to a weekday night. If you have a preference between Tues & Thurs please put it in the comments. The time will be 8pm EST. Thanks to everyone who has been participating! Join us this week! We will focus on how legislation can move #ElectionReform forward. Participants will include Jim Soper of the Voting Rights Task Force speaking about legislation they have submitted in California on ballot images, and how they lobby for legislation. Links & info from people who spoke on the call. I am not specifically endorsing these individuals, their websites, or platforms. These links are so that people on the call, or listening to the recording can have more information about who was speaking and background information on the platform being discussed. Jason Smith - director IVoted? Next #HonestElections Conference Call Sunday 1/29 3-4pm EST. Please join us and share! This is the recording from today's call. There is a little feedback at first - but we get it cleared up quickly - and the quality of the call is great after that. This is a great discussion about a slide show auditing technique that's been developed and a new voting system that is designed for transparency. Today's #HonestElections conference call will feature a voting system that takes a photo of the ballot. It is designed by Jim Keller a photographer and inventor from San Antonio Texas who owns 5 patents on photography and other equipment. We will also speak with Karen McKim of Wisconsin Election Integrity about slide show auditing. Jim Soper will give us a preview of upcoming legislation in California at the end of the call. Please join us! Please put comments and questions from the call in the comments below. Next #HonestElections Conference Call Sunday 1/22 3-4pm EST. Please join us and share! This is the recording from the 1/15/17 call. Note that Hand Counted Score does not support Ranked Choice Voting because it requires a computer to count the votes. Here is the Demo that Nisi recorded demonstrating Approval Voting. NYU Professor of Politics Steven Brams explains Approval Voting. Michael Goldman from the Non Partisan Party For For Fair Elections Facebook group spoke about Score Voting, which is a type of Approval Voting that gives each candidate a score, and so is a little more complicated to count. Next week we will hear from James Keller about a voting system he has developed and submitted a patent application for in Texas. We will be discussing and evaluating a variety of proposals to count and audit votes in a secure, accurate, transparent and fair way. Each person will give a brief description of their system and then take questions. - Similar to what Black Box Voting is calling "The Brakey Method."